Here’s a perfect transaxle for mild horsepower, long travel sand cars. 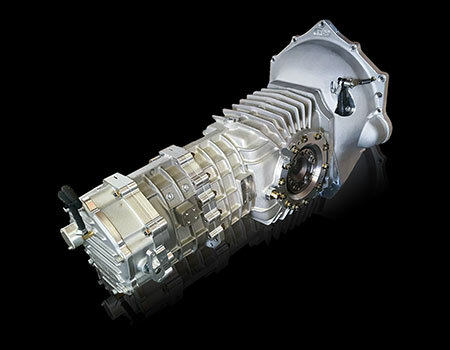 Transaxle includes 5.14 ring and pinion, your choice of 1st through 4th gear ratios. LAT Racing Gear Oil included. Popular choice with long travel sand cars running the LS1 package. Comes standard with 5.14 ring and pinion. Optional Weddle 4.13, 4.63, 4.86, 5.14, 5.43 and 5.86 available. standard. Your choice of 1st through 4th gear ratios. LAT Racing Gear Oil included. Developed for serious drag racing vehicles, the MD4 DRAG is offered with 4.11 or 4.86 ring and pinion, your choice of Weddle 1st through 4th gear ratios, swing axle aluminum spool with syncro or Pro-Shift configuration. LAT Racing Gear Oil included. Perfect dual purpose 5-Speed for sand and dirt, pre-runners and desert cars. Choose from 4.86, 5.14 or 5.43, 10″ ring and pinion ratios. 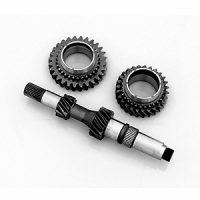 Weddle 1st – 5th gears. Mid or rear engine applications. LAT Racing Gear Oil included. Big horsepower, long travel buggies and desert vehicles, here’s your trans. Available in 4 and 5-speed models. Equipped with your choice of 4.63 or 4.86 Weddle 10″ ring and pinion. 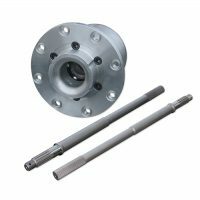 Weddle S4 or S5 gear sets and 934 drive flanges. Use in mid or rear engine application. LAT Racing Gear Oil included. This sequential 4-speed is designed to handle serious torque and horsepower under all conditions. The Mendeola S4D features a massive 11.5″ ring and pinion and the same proven gear stacks found in the time and track proven Mendeola S4. 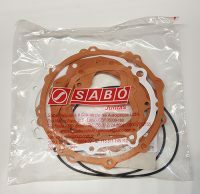 Sold as a complete bolt in package with LS bellhousing for full size clutch.